This entry was posted on May 27, 2013 at 1:33 pm and is filed under Author, Hood, Hugh, KfC's 2013 project. You can follow any responses to this entry through the RSS 2.0 feed. You can skip to the end and leave a response. Pinging is currently not allowed. Interesting that it might be less accessible (if that’s quite the right word, which I suspect it isn’t) for non-Canadian readers. Given how I took to Berger’s A Painter of Our Time and given I find that period of art interesting this does actually sound quite tempting. How well would you say the reader needs to already know the relevant art movements? Perhaps what I should have said is that some parts of the novel that impressed me would only be apparent to those who lived through the times. 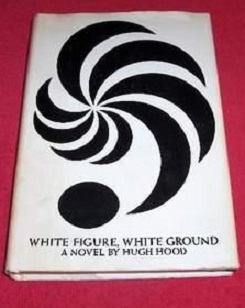 Hood makes no attempt to predict the future in this novel (although he did engage in some of that in his 12-book cycle, The New Age — his version of A Dance to the Memories of Time) but for me at least the accuracy of the way he captures the 1960s “present” stands in contrast to the way things are now. Also, he makes no reference to particular art schools or movements — alas, that is me inserting my impressions into the review, for which I apologize. What he does explore with Alex is how one artist attempts to capture “light and color” in an abstract painting — in the modern era, I guess you could say that quest started with Monet and has continued unabated to this day. This sounds like a very interesting novel. The theme about the house reminds me of Susan Hill’s Dolly, but this book appears more complex – and therefore more attractive. Yet another on my ‘to read’ list! Good luck in finding a copy — it is worth the search. And while the novel has a level of complexity to it, the central themes flow well with each other and don’t become distracting.